Margaret Ellen Sampone, 75, of Baileys Harbor, passed away Saturday morning, January 19, 2019 at St. Vincent Hospital in Green Bay with her family at her side. 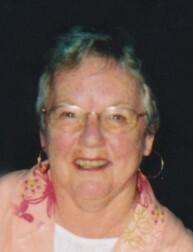 She was born June 2, 1943 in Sturgeon Bay, the daughter of Elmer John Husby and Ellen Mary (Madden) Husby. Margaret grew up attending St. Michael's Catholic Church in Jacksonport and Saints Peter and Paul Grade School in Institute. She attended Sevastopol High School where she was on the homecoming court in 1960 and graduated in 1961. Margaret studied nursing for a short time through the hospital. She was united in marriage to William Wallace Sampone on March 23, 1963 at St. John the Baptist Catholic Church in Egg Harbor. Margaret worked as a bartender and waitress at Sunrise Inn, then Vi's Grocery Store, both in Jacksonport in addition to picking apples and cherries. She most recently worked as a clerk at Mueller's Mini Mart in Egg Harbor and retired in 2008. Over all those years, Margaret took wonderful care of her family and home. She was an awesome cook who liked to can. Margaret also cared for her father, Elmer, as his health began to decline. She was an avid reader and enjoyed completing her word circle books. Margaret loved watching the chickadees and yellow finches in her yard at home. She also liked tending to her flowers. Margaret was a "firecracker" with a witty sense of humor. She loved spending time with her family, especially her grandchildren. Margaret will be missed by her husband, Bill, with whom she shared nearly 56 years of marriage; children, Laurie (John) Haberli of Jacksonport, William "Bill" (Cheryl) Sampone of New London, and Julie (Wade) Jonas of Jacksonport; grandchildren, Katie Jensen and Molly (friend, Jonathan Grant) Haberli, Brooke (fiancé, Reece Nelson) Lahr and Ashley (friend, Eric Shultz) Sampone, and Hunter Jonas and Pam Clement; great-granchildren, Andrew Jensen, and Mercedes, Mackensie, Masen, and Miles Clement; sisters, Mary Rohr and Cathy Gerdmann, both of Jacksonport; sisters-in-law, Kris (Ranni) Husby-Nelson of Jacksonport and Mary Husby of Keshena; nieces and nephews; other relatives; and friends. She was preceded in death by her parents; granddaughter, Amber Haberli; great-granddaughter, Everly Mae Nelson; brothers; Peter, Mark, John, Maurice, Charles, and James; brothers-in-law, Harold Gerdmann, Jr. and Ralland "Otto" Rohr; and other relatives. Relatives and friends may visit with Margaret's family at Huehns Funeral Home in Sturgeon Bay on Sunday, February 3, 2019 from 1:00 p.m. until 4:00 p.m. Margaret will be laid to rest in St. Michael's Catholic Cemetery in Jacksonport at a later date. "Our family would like to extend a heartfelt thanks to staffs of Algoma Long Term Care, Unity Hospice, and St. Vincent Hospital for their care given to Margaret." Expressions of sympathy, memories, and photos of Margaret may be shared with her family through her tribute page at www.huehnsfuneralhome.com.